Equatables used to be much more painful when they weren’t synthesized by Swift. 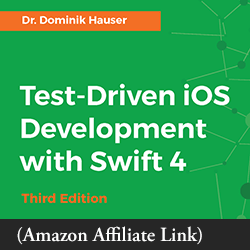 When we had to code them by hand, it was common for Swift developers to write these Equatable implementations and put them into production code, all without tests. Now that we have synthesized Equatables, we no longer need to unit test them. We can trust the Swift compiler. Believe it or not, I love not having to write tests! Still, I would hesitate to make a type Equatable just because I want assert something about it in a unit test. What’s wrong with putting Equatable implementations in production code? Nothing, as long as we need them for production code. Will the type be used in a sequence or collection? Then consider making it Equatable, depending on the algorithms you want to have available. But not all types need proper value semantics. Most of the time, I’m just sending a bag of data from one point to another. Arguing “it should be Equatable, because it should have value semantics, because it’s a value object” strikes me as a violation of YAGNI: “You Aren’t Gonna Need It.” It’s coding for a future possibility which may never come. It’s waste. So what do we do instead? Let’s look specifically at enumerations with associated values. I’ve shared a screencast of how to start JSON parsing in Objective-C. But a naive translation of that code into Swift is unsatisfying. If we send a response model containing a status code, then the response handler will need to examine this status first. It needs to call some logic to determine whether the response represents a success or a failure. where T is the type of the response model. This not only forces response handler to consider success and failure up front. It also simplifies the response model, essentially moving the status code into the enumeration. Let’s first write a test for a successful response. If the JSON contains a code of 200, we want the parse method of the System Under Test to return success. Instead of an Equatable, we’re using a guard case statement. If we can’t convert the value to a .success, we fail. This code is resilient, and won’t have to be changed even if we add new enumeration values. For other tests, we probably want to examine the associated data. We can extract it just by adding a let to the guard case. Notice what the test does with the success value’s associated response model: nothing. This particular test doesn’t care. If we had written this using XCTAssertEqual, then we’d have to create an “expected value” of our response model. Every time a change was made to the response model, we’d have to update all tests that used it in an XCTAssertEqual assertion. The problem with equality is that it’s so exact. Sometimes you want it, of course. But for many unit tests, it’s overkill. It can over-specify something that really isn’t relevant to the outcome of the test. This results in fragile tests. Testing for equality also inhibits Test-Driven Development of aggregate types. 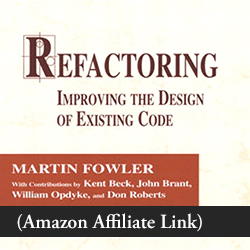 TDD is a combination of Test-First with Incremental Design. I want to grow the JSON parsing code iteratively, using subsets of JSON that affect different slices of the response. This will happen gradually, over many tests. I want to avoid big-bang comparisons. Don’t define something as Equatable in production code, unless it’s needed by production code. You can always create an Equatable extension in test code if you want. Testing for equality is usually fine for single-value results. But for aggregate values, XCTAssertEqual assertions can result in fragile tests. For enumerations with associated values, use a guard case statement in your tests. Add a let to extract the associated values you want to examine. Questions, comments, concerns? Please leave a comment below! Testing for equality inhibits Test-Driven Development of aggregate types. Previous Post Uncle Bob’s “Dark Path”, Swift’s Strict Typing, and Testability Next Post try! Swift Tokyo: Want to Visit Charming / Quirky Japan? You can assert that your objects are what you expect them to be without writing an equals function. It’s available via cocoapods too. What about avoiding logic in tests? The guard statement is a conditional statement. Is this just a trade off we have to make for this scenario? I’m afraid so. It took me a little time, but I’ve made peace with this.